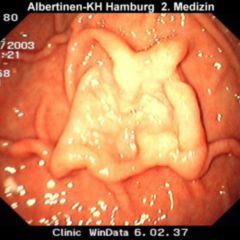 Endoscopic Image of Duodenal Diverticula. 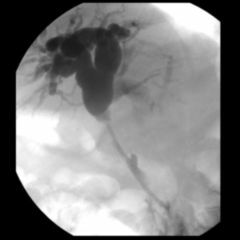 Duodenal diverticula (DD) are more often observed in patients older than 50 years and are considered to be of the acquired pulsion type. They may be single or multiple and may occur anywhere in the duodenum; however the site of predilection is the medial aspect of the second part. They measure from few mm to giant diverticula.